NEW YORK -- Health officials Tuesday ordered nearly everyone in a heavily Orthodox Jewish New York City neighbourhood to be vaccinated for measles or face fines, reviving a public-health strategy that experts say hasn't been used in the U.S. in recent memory. Meanwhile, the federal Centers for Disease Control and Prevention elevated its response to measles, establishing a larger team to focus on outbreaks that have sickened 465 people nationwide this year -- the second-greatest number of cases reported in the U.S. since measles was eliminated domestically in 2000. 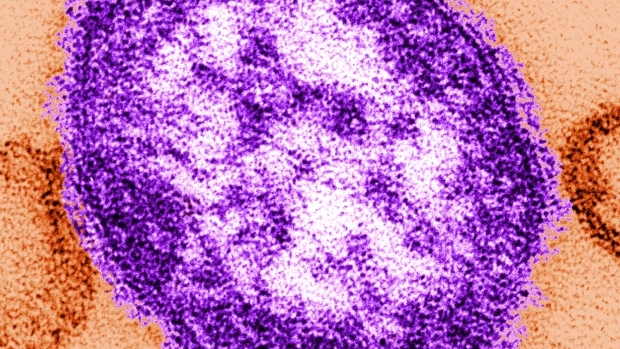 The nation's biggest city is in the midst of its biggest measles outbreak since 1991, with 285 cases diagnosed since last fall -- compared to two in all of 2017, officials said. They blamed the spike partly on anti-vaccine campaigns spreading misinformation that immunizations are dangerous. News of the order got a mixed reaction among Orthodox Jews in Williamsburg, the Brooklyn neighbourhood affected by the order. Some residents -- even those who support vaccination -- said they felt uncomfortable about the city pushing inoculations on people who don't want them. The city believes an estimated 1,800 children in the neighbourhood hadn't been immunized as of December. At Yeshiva Kehilath Yakov school, Rabbi David Oberlander said administrators took pains to make sure children with measles -- some 20 cases in recent months -- weren't in class. The U.S. Supreme Court upheld such an order in a 1905 case involving smallpox vaccinations in Cambridge, Massachusetts. But over time, school-vaccination requirements -- which the high court upheld in 1922 -- became the centerpiece of public health officials' strategies to fight measles, mumps and other communicable diseases.